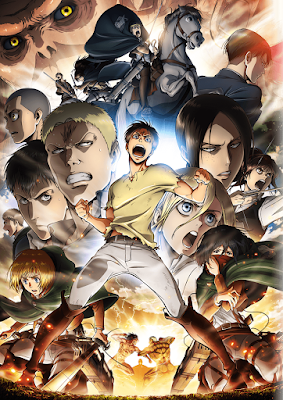 Season 2 of Shingeki no Kyoujin was woefully short, especially as it didn’t feel like it was that far above the rest of the crowd in terms of production budget or ambitiousness. There were some nicely-animated sequences, many of them strange things like Christa deciding to do battle, but there were some decidedly clunky parts as well, especially when it came to CG. But if it feels woefully short, that means it’s enjoyable, and this second season certainly was. Absolutely one of the most prominent anime around just now, its popularity is backed by an intriguing setting and several layers of mystery. This season brought us a lot of revelations – why Ymir is dotes so much on Christa, the identity of the most iconic abnormal titans (revealed in a brilliantly anticlimactic way), how the mindless titans are made and the true extent of Eren’s powers. Interestingly most of the season revolved around a plotline where Eren is a particularly grumpy damsel in distress. There are also new mysteries, like how the wall was made and by whom now that new details have been revealed, the identity of the beast titan and perhaps more about the smiling titan too. Then there’s the long-standing mystery of what Eren’s father did, and why. Of course I want more. Much more, and quickly. But I’ll also wait patiently. I read a few manga chapters in advance but spoiled only the cliffhangers from that point, not any of the larger mysteries, and I intend to enjoy them animated first. I can make a few predictions based on what we’ve learned so far, but I can stress that these are not spoilers, only my guesses. Still, if you don’t want to read my speculation or haven’t finished this season, please look away now! It will be interesting to see if any of these are true or if I’m way off. Either way, it will be fun!